Welcome to the world of fine art reproduction services! Digital Arts Studio is a family-owned and operated giclee printing and custom framing business located in Atlanta, founded in 2003. We provide a full range of services for artists and photographers all across the United States. Our passion for art stems from our long career history in many related fields and is as strong today as when we began over 35 years ago. Whether you're a professional or aspiring artist or photographer, a business or consumer desiring top quality, long-lasting prints, posters, displays, etc. Digital Arts Studio is your "one-stop-shop"! We produce museum-quality giclee prints (aka Archival Pigment Prints) for artists and photographers all across the United States. Check out our price list for details about all the name brand watercolor and photographic papers and canvas we choose to offer. 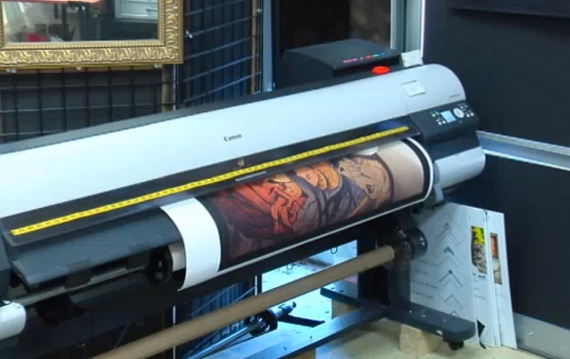 Digital Arts Studio uses the latest generation of 12 color printers with aqueous pigmented inks. Canon Lucia EX inks have the largest printable color range of any fine art inks available and considered by many as the best in the industry. Our procedures, knowledge and workflow have been tested, evaluated and has subsequently qualified us as a Hahnemuhle FineArt Certified Studio, one of fewer than two dozen in the United States. 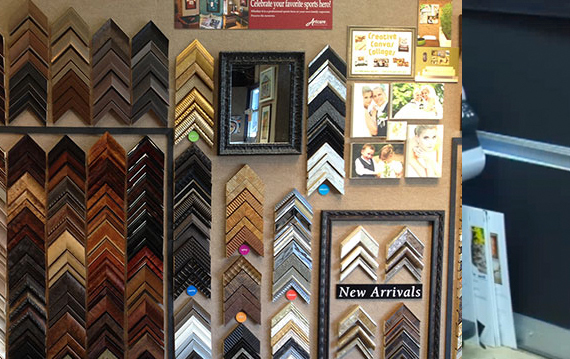 Our custom frame shop is second to none offering unrivaled selection, expertise and friendly, professional guidance. With over 75 combined years as professional, industry-certified framers (CPF), our team regularly handles everything from a simple snapshot to elaborate 3-D shadowboxes for collectible or keepsake items. With help from our imaging team, we often produce unique, customized mat designs, collages, and faux finishes that you won't find anywhere else! Select from the highest quality materials by the world’s leading manufacturers of moulding, mat board and glass. Treasured artwork, documents, family photos or heirlooms need the right glass or acrylic to block UV light rays that cause your artwork to fade and deteriorate over time. In addition, TruVue Museum Glass© is virtually invisible, and provides the lowest light reflectiveness possible, allowing your items to be seen the way they were meant to be. Pure cotton rag fiber mat and mount boards, combined with industry standard methods of attachment, ensure your work will stand the test of time and be the focal point of your decor! Please stop in to browse our showroom or bring in your projects for a free consultation and quote! I am extremely pleased with the professional quality of my prints as well as the outstanding customer service from DAS. My framer was so impressed with the giclee print quality that she stated she felt like checking her fingers for pastel dust. Thanks so much! The print was awesome & looks great!...thanks for the proof. I'm sure my client will be thoroughly satisfied--you guys rock! Thank you guys for bring my paintings to life through the magical form of the giclee. I've gotten great remarks on the print quality and have had lots of opportunities to brag about you guys. Barry and DAS, I just received my first prints on canvas from you. Unbelievably good! They turned out exactly as I hoped, and probably better. Can't wait to put them in the gallery, and I can't wait to send you my next batch of images in a few weeks. Thanks for the beautiful, high quality work! Hi Barry, I would like to thank you for the wonderful print job you did for my painting. It is already a big success! I have sold over 20 prints since I received them last Friday. Thanks for the good work and you will be hearing from me soon!